When you just want some sweet cash for your rewards. Looking for an alternative to complicated rewards programs that aren’t easy to use or are hard to get the most out of? Don’t want to wait for your points to finally build up before redeeming? Then cash back cards may be just the thing for you. You’ll get a simple rewards plan that gives you a set percentage of cash back on every purchase you make. You'll avoid point value variations that depend on how you redeem your rewards. And an added bonus? Easy redemption options, and some premium perks to go with it. (Though these perks tend to pale in comparison to a travel rewards card). With a cash back card, getting your rewards is straightforward. the ability to withdraw your cash back from an ATM. The best part? You can redeem as often as you like, as long as you have $20 to $25 of cash back earned. Some cards even have no minimum at all. This all seems great. But when are travel cards the better option? Certain features are also easier to find on a travel card, such as no foreign exchange fees. Plus, some travel cards will give you the option to redeem for cash back as well, usually at a discount when compared to a travel redemption. This still gives many of these cards flexibility on redeeming your rewards if a travel redemption isn’t something your planning in the future. 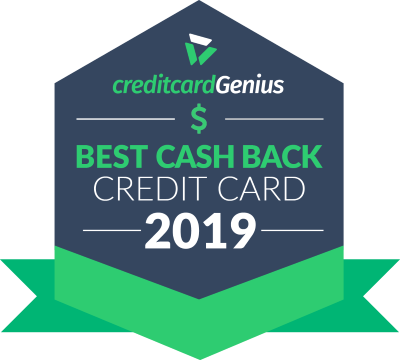 Travel cards that offer an option for cash back redemption are included in our list at the rates at which they earn cash back. Here’s our list of the best cash back credit cards available right now. This list gets updated when cards change or when a new card is released, so you’ll always be looking at our up-to-date best credit card rankings.